Electric vehicles sales are on the increase in 2019, with more sold to date, than in the whole of 2018. Statistics released by the Society of the Irish Motor Industry (SIMI) show that a total of 1,437 electric vehicles were registered so far this year. Just 1,233 electric vehicles were registered in the whole of 2018. 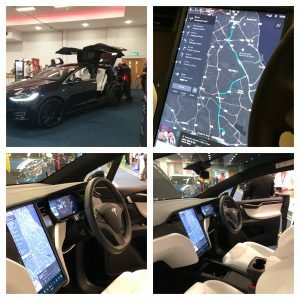 At the SEAI Energy Show last week, a number of electric vehicles were on display including a battery electric vehicle (BEC) and Hybrid Electric Vehicles (HEV). A Battery electric vehicle or BEV does not have a fossil fuel engine or generator. It is driven purely by an electric motor with battery energy storage. Also on display at the energy show were hybrid electric vehicles or HEVs. These work on an internal combustion engine and an electric motor. With the battery begin charged while the wheels are in motion. From Hyundai, Golfs to Tesla, those who attended the Energy Show got a real treat. Pictured below is the latest Tesla model showing a full screen on board. There is now significant grant aid for consumers as an incentive to electric vehicle ownership. 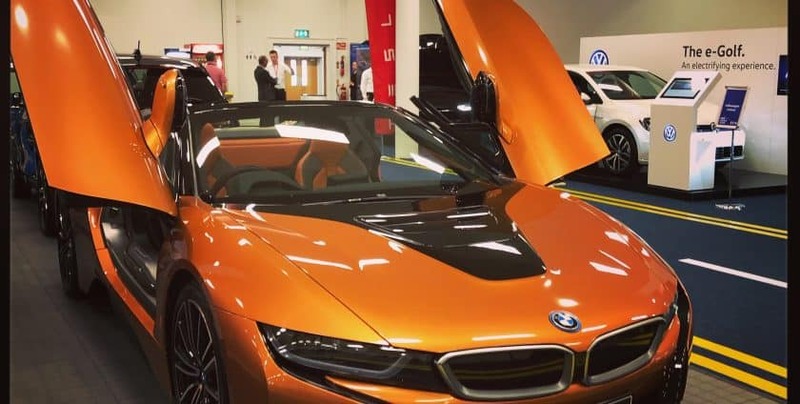 The actual size of the grant is dependent on the cost of the car, and ranges from €2,000 for a list price of between €14,000 and €15,000, up to €5,000 for a car costing more than €20,000. The ESB runs a network of free charging stations, of which there are currently in excess of 1,000 all around the country, together with 70 fast-charging stations.. Although it is expected that fees for public charging electric vehicles are now likely to be introduced later this year. The Sustainable Energy Authority of Ireland (SEAI) offers grants of up to €600 towards the cost of installation, and that typically covers 70% of the total outlay. According to the ESB, a full overnight charge will cost you no more than €2 — using cheaper night-rate electricity. The running costs of an electric vehicle. 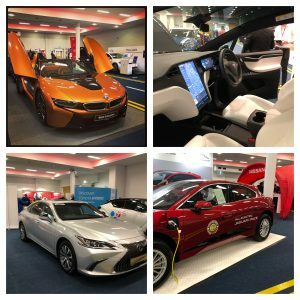 Some of the vehicles that were on display at the SEAI Energy show can be seen below. With the growth to date in Ireland on the sale of electric vehicles, we will no doubt see some of these vehicles on our roads very soon.